It’s hard not to get caught up in Sarah Brown’s quiet enthusiasm. The pioneering CEO of the Purple House in Alice Springs has an infectious passion for providing dialysis to people in very remote Indigenous communities. She and her hardworking “mob” see first-hand every day how a flexible, holistic care model can deliver meaningful benefits to those in remote areas – closing the gap on Indigenous health inequality in a very practical, grassroots way. But of course, there’s always more to be done! Based in Alice Springs NT, Purple House is a not-for profit organisation that supports remote Indigenous people, who are up to 50 times more likely to experience end-stage kidney disease than non-Indigenous Australians. With humble beginnings in the corner of Sarah’s lounge room 16 years ago, the Purple House model of care has grown significantly – and is now being replicated country-wide. 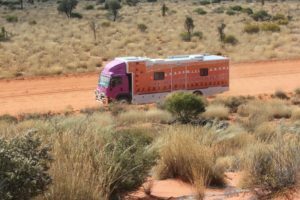 Today Purple House boasts 150 staff, 16 small clinics in remote NT and WA (operating 6 days a week, 52 weeks a year), the Purple Truck (a self-contained 2-chair dialysis unit on wheels – made famous most recently for assisting Australian acting legend Jack Thompson), smaller support services in Alice Springs, Darwin and Perth and their first SA clinic under construction in Pukatja. The Purple Truck a self-contained 2-chair dialysis unit on wheels, which helps keep renal patients well whilst they travel long distances home. “Purple House was essentially created because Aboriginal people from remote communities knew that the standard service they were getting from hospitals (which involved leaving their home, family and country to access care) was totally inappropriate for them, their families and their aspirations. “Patients were either choosing to move to town for treatment and feeling completely miserable and heartbroken and dying really early. Alternatively they were choosing not to start treatment at all and were passing away prematurely on country without any medical care. Working together with remote community art centres, the Pintupi elders raised $1 million through an art auction at the Art Gallery of NSW in 2000. And nothing is more important than ‘Ngurra’! Ngurra means both ‘country’ and ‘home’ in Western Desert languages, and is the centre of everything for many Aboriginal people. Remote community members also feel a strong need have the chance to travel back country for ‘sorry business’, funerals and culturally significant ceremonies and will “worry themselves sick” if they can’t make it home. “In lots of ways our model is a palliative care model,” explains Sarah. “Over the years we’ve a managed to get a number of patients well enough to go home on dialysis, only to find that their circumstances change or another condition (like cancer or dementia) deteriorates. “Because they were already at home, we’ve had the chance to have important discussions with them and their family to plan a time when dialysis would stop. Allowing them to have those conversations and pass away peacefully on country was very, very meaningful. Purple House’s work was significantly boosted by last year’s Commonwealth decision to add a Medicare item number for dialysis in a very remote location, which provides $590 for each dialysis treatment. Sarah is quick to point out (still from that same corner of her Alice Springs lounge room) that the Purple House success story belongs to many people – the Pintupi people, the nurse practitioners, clinicians, volunteers who have worked so hard and their other government and community supporters. But most of all their story belongs to every person they have assisted home for a good life and a good death in the place that matters most to them. “So many of the stories you get from remote Australia are negative or challenging. This is a hugely positive story… which really challenges some myths about remote Aboriginal communities. It’s essentially a story about people power. 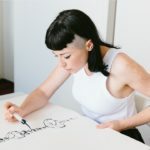 How Aboriginal people who had a problem, came up with their own solution and are now really, really proud of what they have achieved,” said Sarah. 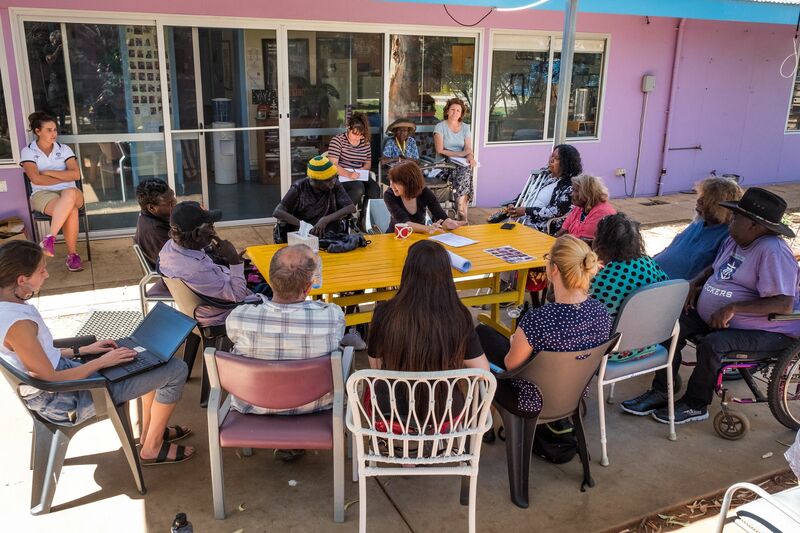 Purple House is hosting a two-day conference in Alice Spring (9 April-11 April 2019) to share conversations with like-minded health care professionals about remote dialysis and keeping culture strong. The Conference includes a day trip to a community to see remote dialysis in action! Limited places still available. See here for details.